This is an interesting article on bird calls, which could perhaps answer the question: "Do animals use language like humans do?" In the feathered family that includes parrots and parakeets, birds bond by adapting their calls to mimic each other’s dialects. Parrot communication goes well beyond “Polly wants a cracker.” The colorful birds—whose family includes parakeets, like those on this page—actually speak in dialects. Biologist Timothy Wright and his team at New Mexico State University used sonograms to compare vocalizations of Amazon parrots living in Costa Rica. They discovered that all birds used a specific call to maintain contact with others in their flock, but the acoustic structure of that call varies by region. And when one bird heard the local dialect of another, it modified its own vocalizations to match the new tune. They found comparable patterns with small flocks of parakeets in the lab. Humans and parrots learn to vocalize similarly: Both listen and then repeat back what was heard. Relatively few animals develop communication this way. 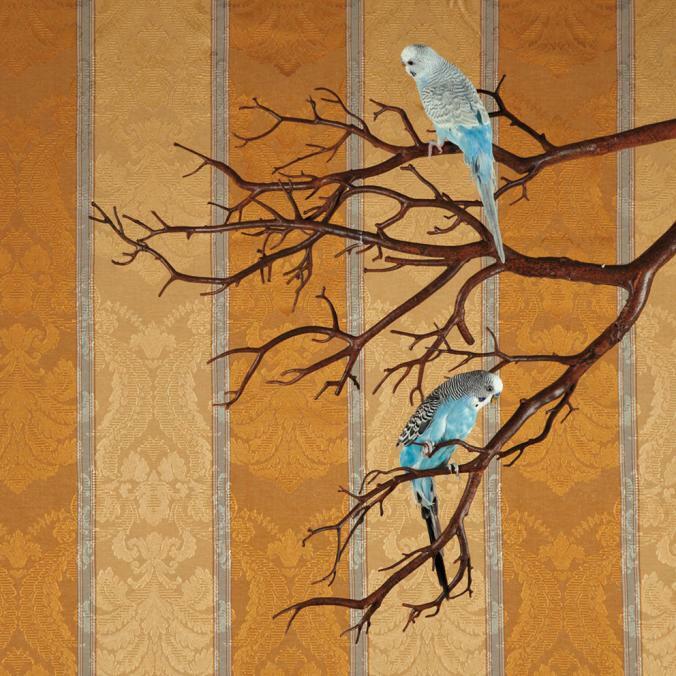 The trait may help explain why parrots are such popular pets. In the wild they form strong pair bonds and social systems; in captivity they may try to re-create that connectedness by mimicking the humans around them.